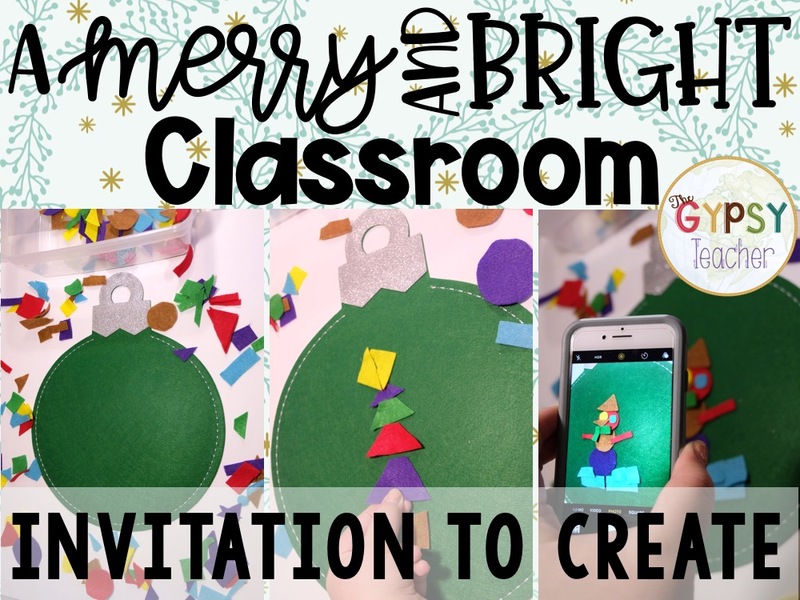 Invitations to Create are one of my favorite art centers for my early elementary classroom, but they would be perfect for upper elementary too! We all have an urge to create SOMETHING, and so stirring that up in our students, and encouraging them to think outside the box is so important. That is what today's post is all about. 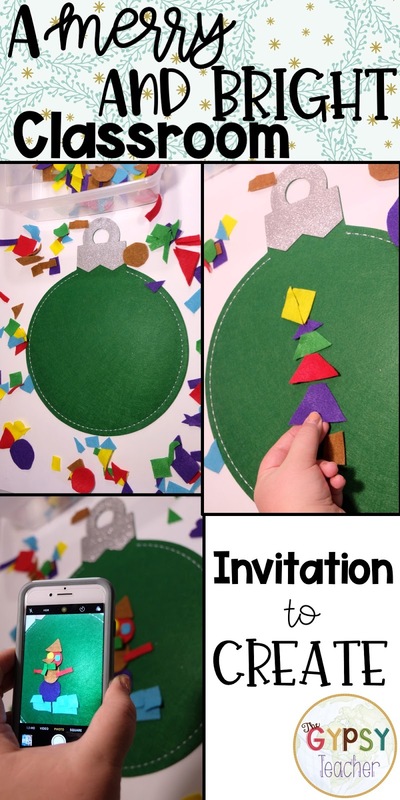 If you search Invitation to Create on Pinterest, you will come across COUNTLESS ideas that are awesome for all year long. 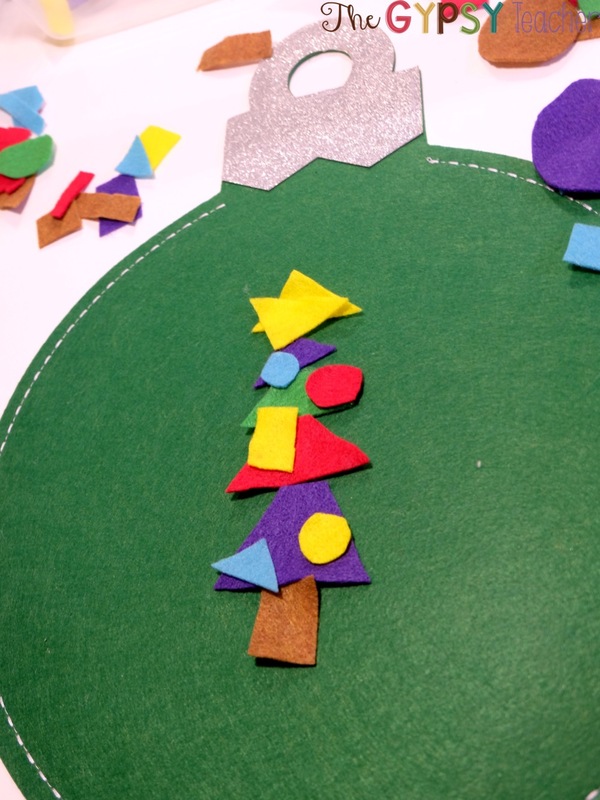 When I taught Kindergarten, I would make an Invitation to Create center for several of my themes - insects, Christmas, weather, etc. 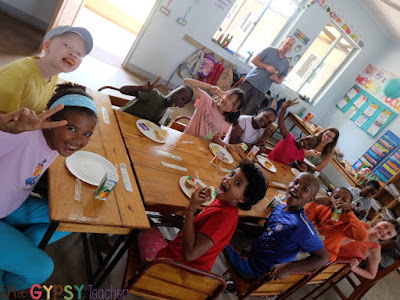 The premise of this concept is that you give the students materials and let them create what they want. 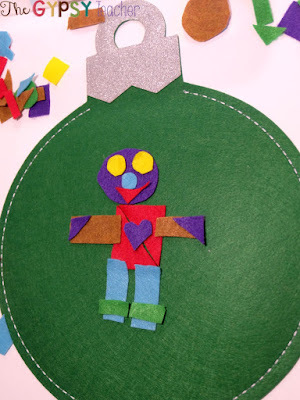 You can do this with any material - paper, wooden blocks, playdough, craft supplies, toys, etc. When I found these felt placemats at Target, I got inspired to create a felt Invitation to Create! Felt is one of my favorite materials to work with because it sticks to itself! You don't need glue, tape, or a stapler. I'm not currently in the classroom, but if I was (or when I am), I would keep this center as an option all month long. I cut pieces of felt into different shapes: circles, squares, rectangles, triangles, hearts, trapezoids, etc. When I did this with paper in Kindergarten, I used one of these chip and dip trays. But I soon realized that separating the pieces did NOTHING for us. They ended up all mixed up anyways. So I recommend keeping all of the felt pieces in a couple of plastic containers, but not being too concerned with organization. That's the fun of creating! 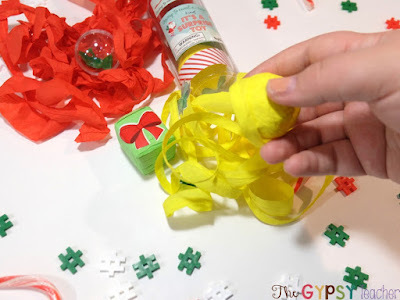 You can add this center into your normal rotation, or it could be a morning bin, early finisher activity, or even a Christmas party station! 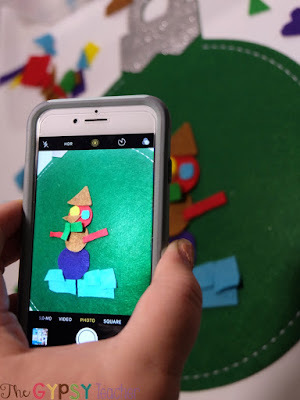 I think it would be fun to give some inspiration to the students, so you can cut pictures out of magazines, or even print them out from the internet of seasonal items they could create. When I used to do this activity, I would have my students make something, glue it together, and send it home. Well, not only was it messy, disorganized, and didn't really make much sense, but it also depleted our supplies. My suggestion now is, once they've finished a creation, have them (or you) take a picture of it with a class iPad or your phone. Then, you can send it to their parents via email or text! After the picture is taken, they can take it apart and start again! That's another reason I choose to use felt! I hope this gives you a fresh idea on another Makerspace option for your classroom! I love giving students free reign, in boundaries, to create their masterpieces!! I'd love to see your students' work - you can always tag me on IG at @alliethegypsyteacher if you use this idea in your classroom! 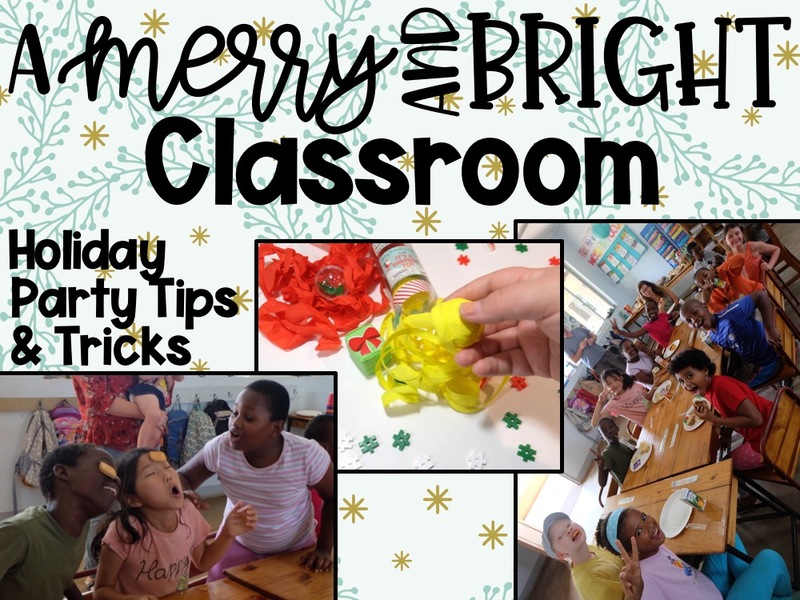 As we're wrapping up the holiday season in our classrooms, you may be preparing for a holiday party! Or, if you're a parent, maybe you plan to have some of your kids' friends over for a party at home. No matter how you choose to celebrate the holidays, I have some tips and tricks for your to make your kids holiday parties the #bestpartyever! 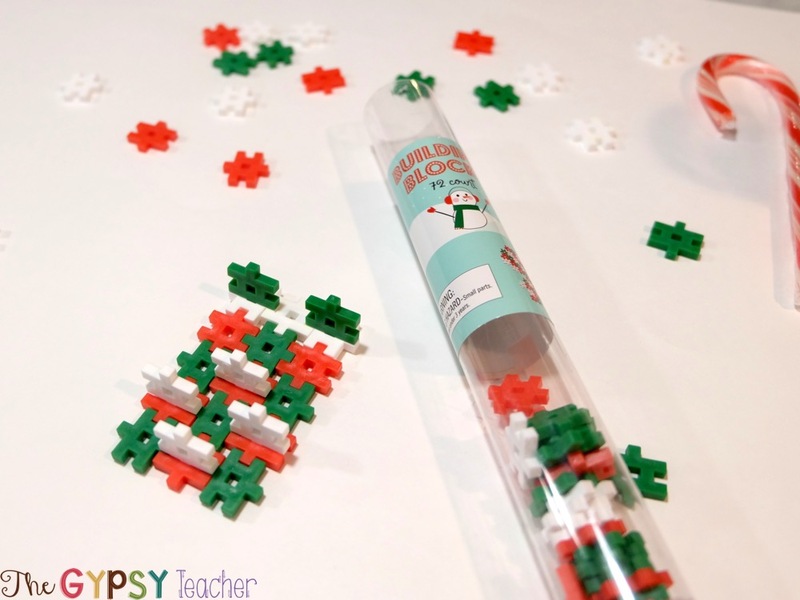 Tip #1: Include STEM activities! Problem-solving activities keep our kids engaged and can take some time to do! 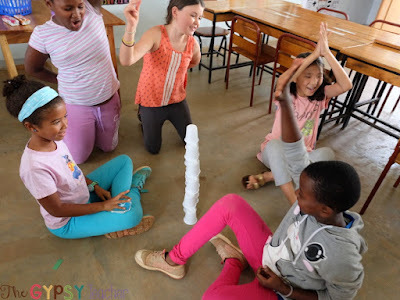 One of my favorite activities that works well for all ages of kids is cup stacking! 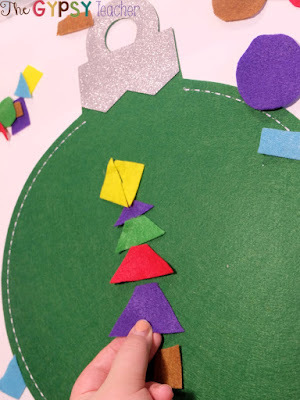 It may sound too good to be true, but this easy activity is something the kids LOVE. If you use these green cups, the kids can try to make Christmas trees! With my 4th graders, I made it a competition to see who could stack all their cups fastest without having them fall over. I also love these blocks that you can find at Target. They build fine motor skills and the possibilities are ENDLESS! If you can't find them, these brain flakes work really well too. You can challenge kids to make certain things, like Santa's sleigh, a menorah, a snowman, etc. Then, they can vote on which creation they like best! Tip 2: Play games that get their energy out! 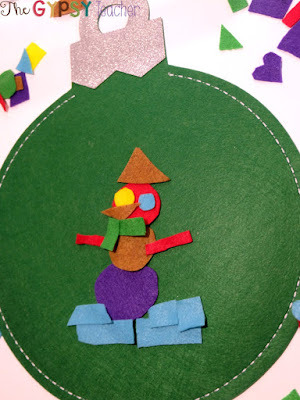 Freeze Dance is one of my FAVORITE games, and it's so easy!! All you need is holiday music! When you play the song, the kids dance. When you stop it, they need to stop. If they don't freeze, they're out! 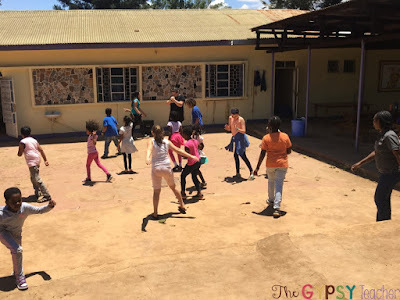 This is what Freeze Dance looks like at our school in Tanzania! Click the picture above for my favorite Christmas music. Or, if you're a Spotify lover like me, here's one of my favorite Christmas playlists! Another fun game is called Face the Cookie. I'm sure you've seen this one, as it's a popular Minute to Win It game. It is HILARIOUS and so much fun! 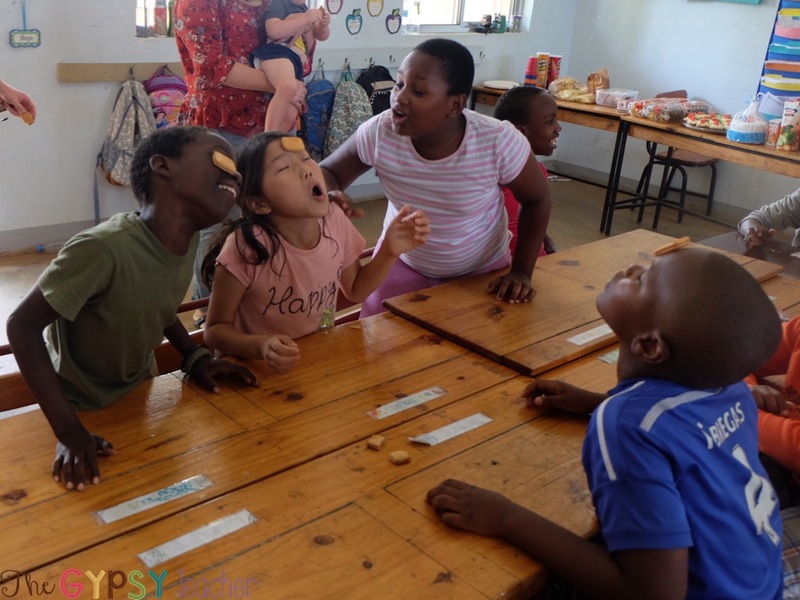 Everyone starts with a cookie on their forehead, and they have to work it down and get it into their mouth without using their hands! 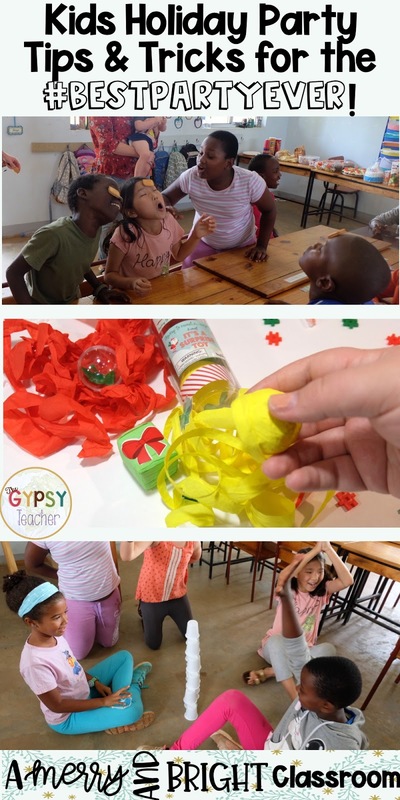 Tip 3: Finish with a Fun Game for All! 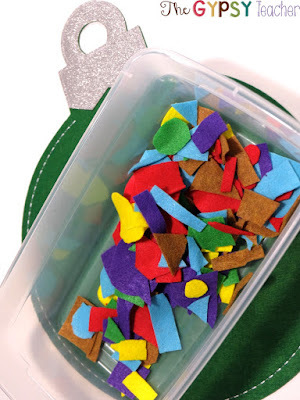 Another twist on this game that would be super fun and easy, if it's last-minute, is using these "It's a Surprise Toy" kits from Target! You can find them in Bullseye's Playground for $3 for three. Each wrapped gift contains a stretchy holiday toy. 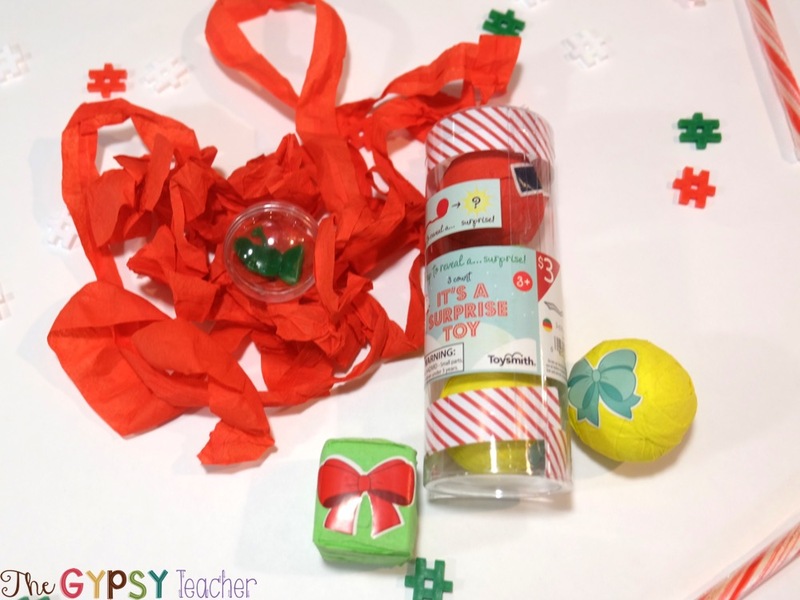 Get enough so that each student has one wrapped toy. When you play the music, have students pass the gifts around the circle. When it stops, they start opening the gift they currently have. Play the music again to have the gifts be passed again. Keep going until the gifts are unwrapped. Whatever gift the students end up with is the one they keep! 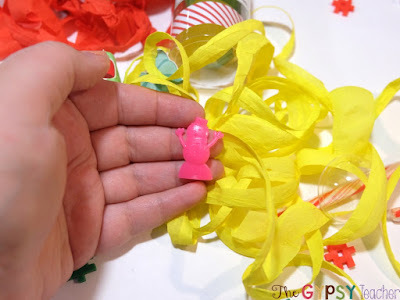 Jenna May @fromsept2mrsmay has this awesome Party in a Bag idea! 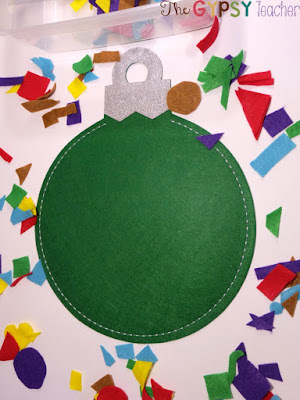 Give each student a white paper bag and her FREE note, and have them bring back the completed bag for the party!! More info on her IG (click on the pic!). 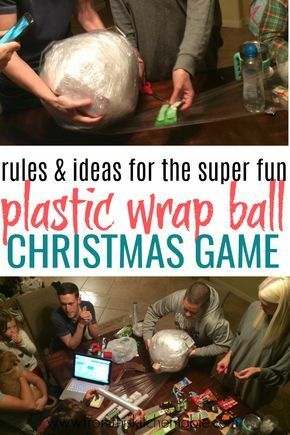 No matter what you decide to do for your holiday parties, I know they will be great and your kids will love them!! The most important thing is to have fun and keep it simple! 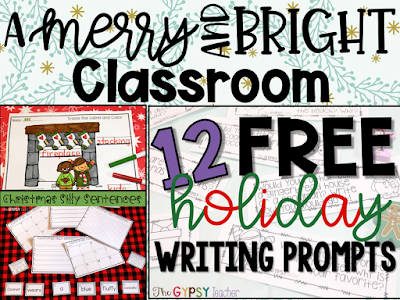 Have you downloaded your holiday writing freebie yet? Click here for yesterday's post on how to get it! You've got this teachers!! Winter Break will be here soon!! Much love to you! Also, just so you know, any Amazon Links in this post are affiliate links! I'm happy to help you get what you need for your holiday parties! Hey friends!! Wow...we're already in the third week of December! 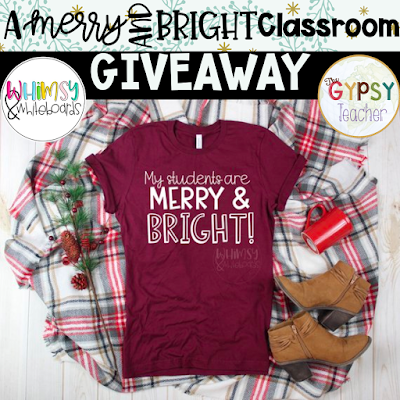 I hope your classroom is very merry and bright, and calm ;)!! 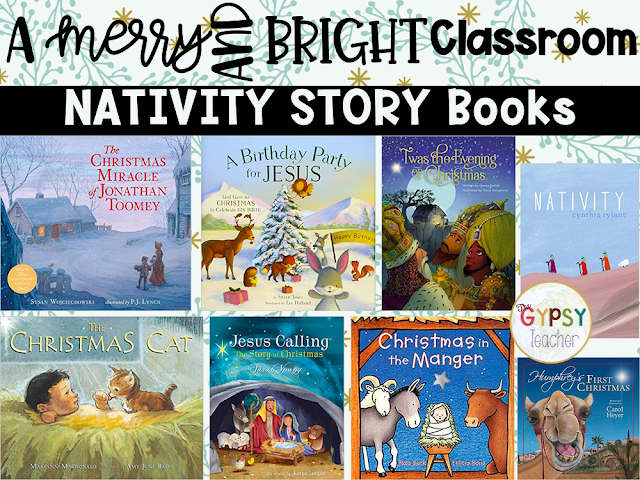 I'm thrilled to have you back for more of my Merry and Bright Classroom series. 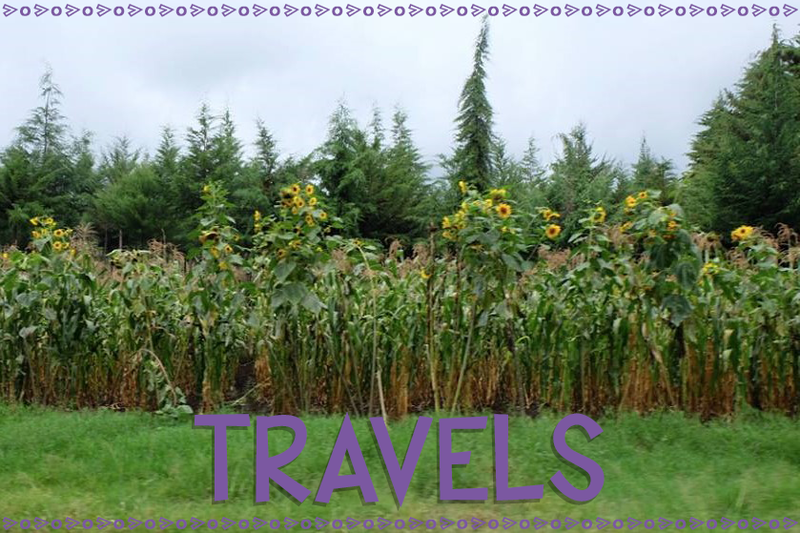 Scroll to the bottom to see links to all of the blog posts for this series!! Today I'm focusing on writing. I love teaching writing, and especially love reading students' writing. Last year, when I taught fourth grade, I gave each student a reading response journal, and we would write back and forth to each other about the books they were reading. It was a BIG task, and thankfully I only had 12 kids, but it was so much fun! Erin, @flavorsof4th on IG, suggested to give your students a Target Blank Book as a letter-writing journal for their Christmas gifts, and I think that is such a great idea. Getting students to write in real-life circumstances is so important! You can click on the pic to get more info from her on this. 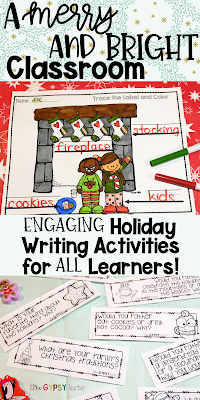 The holidays are a GREAT way to incorporate fun writing activities in our classrooms!! 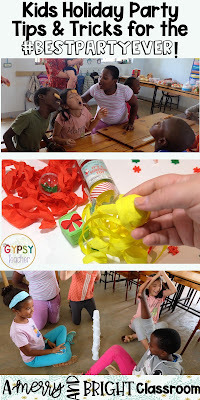 I have three activities to share with you that you can implement as a whole class activity, put in your centers, or use as early finisher activities and more! Also, there's a FREEBIE coming your way at the bottom of this post, so keep reading! Sentence-writing is such an important skill and standard that will be built upon throughout our students' schooling. As a first grade teacher, I noticed that my students really needed help with how to write a complete sentence, so I created a Silly Sentence Scoot. I made up some silly sentences, cut them into words, and put one mixed-up sentence at each desk. The students had to rearrange the sentence to make it readable and complete, and then write the silly sentence on their recording sheet. Then, they mix up the sentence for the next person, and wait to SCOOT to the next desk! By the end of this activity, they totally mastered the complete sentence structure and writing. I thought this would be a great activity to engage your students this last week before break, and help them practice this skill. 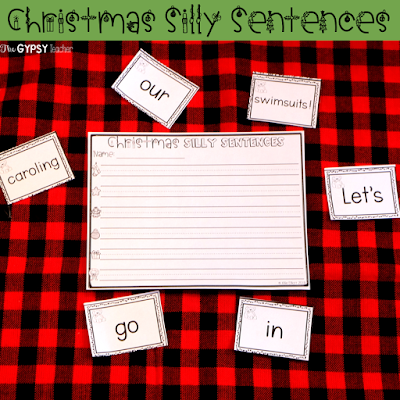 So I decided to make a Christmas Silly Sentence Scoot! 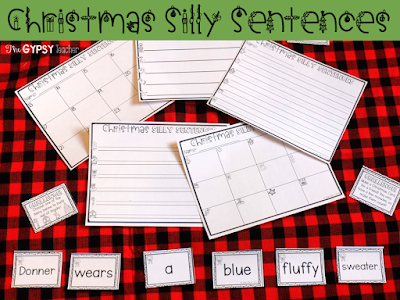 This has 24 Christmas Silly Sentences that are broken up on word cards. Each word card has a picture on it for easy distinguishing between sentences. I've also included nine CHALLENGE cards, if you have more than 24 students. 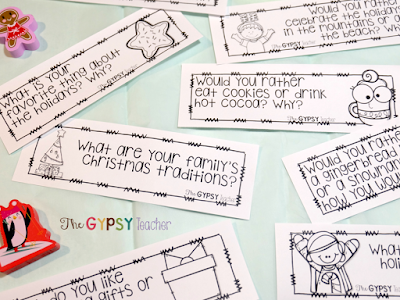 Use these as a whole group activity or a holiday literacy center! 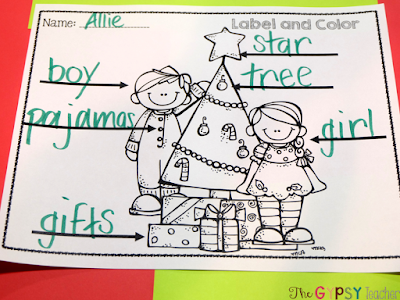 We start by writing stories in our heads by drawing pictures, then we work on labeling those pictures. 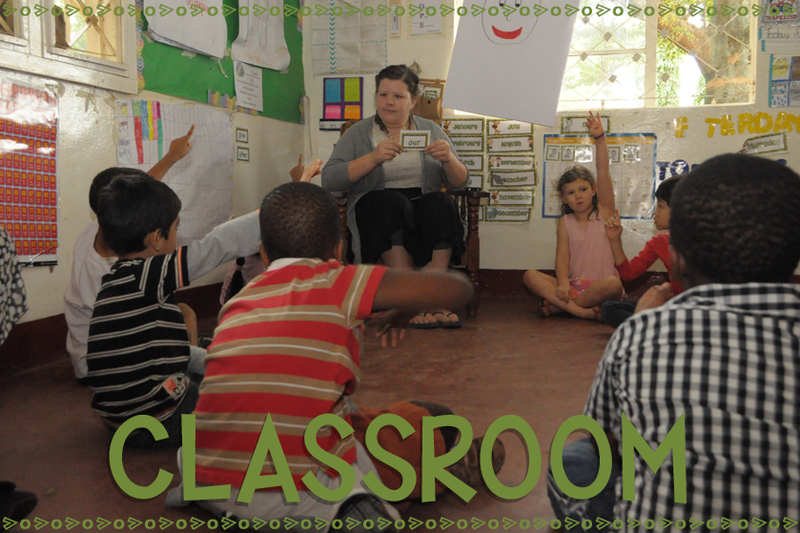 But, to get them from point A to B, we practice labeling as a whole class, in small groups, and independently. That's where these Label and Color resources come in. 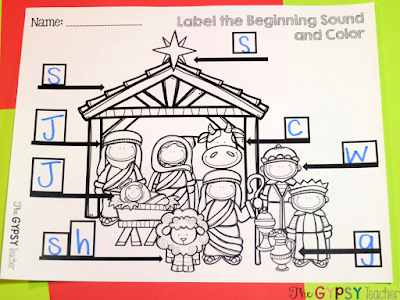 There are differentiated levels of labeling: labeling the beginning sound, tracing the label, and then labeling with inventive (or correct) spelling. I love this because I can have the whole class working on the same page, but all at their levels. My high flyers can be writing their own labels. My students who are on track can be working on deciphering the beginning sounds. And my ELLs and students who need more scaffolding can trace the labels. 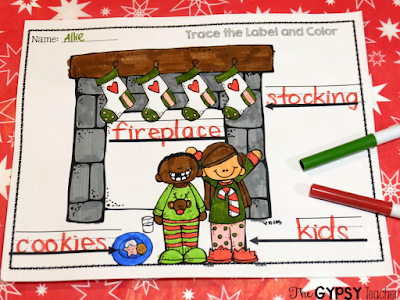 My students love these activities because they get to color the pictures after they finish labeling, doing their best work! I love them because they practice the important skill of stretching out sounds they hear and putting letters to the sounds. They may not always complete them perfectly, but it gives me, the teacher, a good idea of how best to help them moving forward. 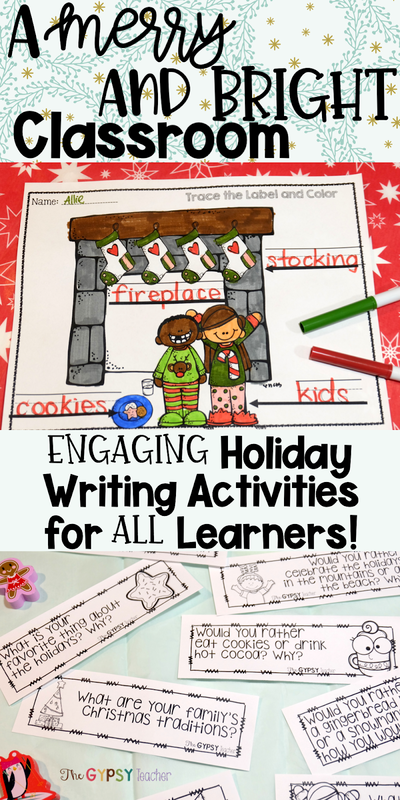 My third holiday writing activity can be used for any grade level. You can use them as discussion starters, morning meeting questions, journal prompts, writing center prompts, and much more! They are Class Journal Jar prompts! 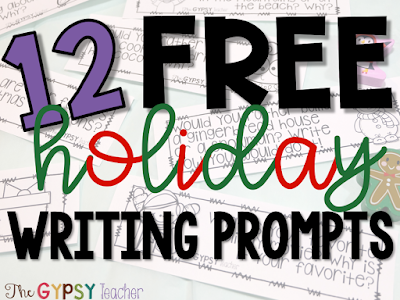 You can pair these with a craft or project, or give your students the freedom to pick what to write about. I have these in color and black and white. You could project them onto your SmartBoard, or print and laminate them. 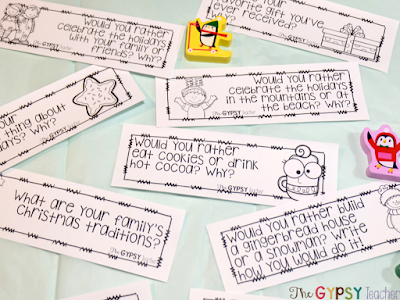 The "Would You Rather" prompts are great discussion starters! We use these all year long in my classroom (I have 100 of them now! 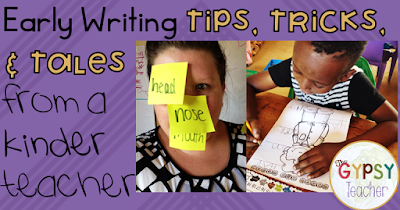 ), and my students love using them to spark their writing creativity! I would love for your students to get inspired by these as well, that's why I'm giving you 12 prompts for FREE! In my Journal Jar resource, I give you 96 prompts - several everyday prompts and then at least four per holiday throughout the year. I've created a separate file JUST FOR YOU with eight Christmas/Winter Holiday prompts and FOUR BONUS PROMPTS, exclusive to my blog readers!! All you need to do to get these prompts is click the picture and subscribe to my email list! Starting in 2019 I will be sending out my weekly blog posts, tips & tricks, and a special link to my exclusive freebie library! You won't want to miss out! I hope you got some ideas to keep your students engaged through writing this week before break! Hang on tight, you've got this!! Want to read more ideas to help keep your classroom merry and bright? A Merry and Bright Classroom: Coworker Gifts and a GIVEAWAY! 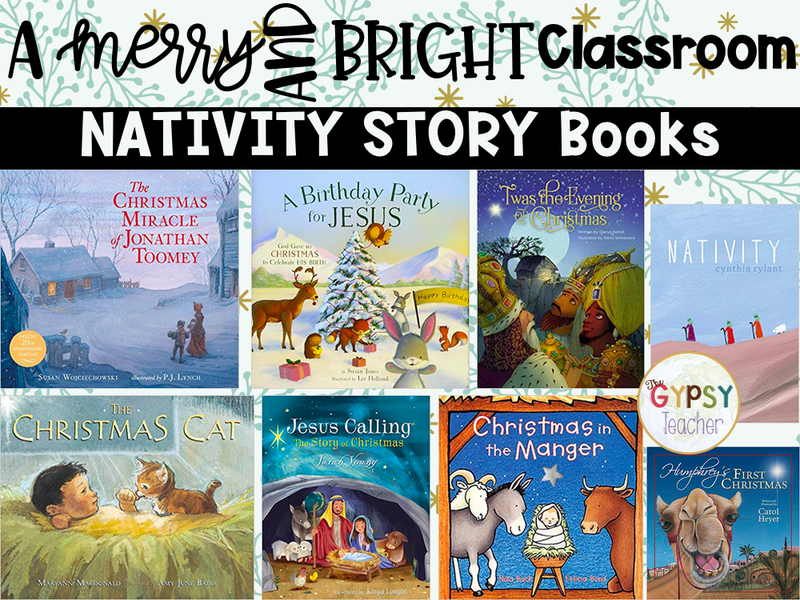 Welcome to Day 5 of A Merry and Bright Classroom series! I'm so glad you're here! If you missed any of this week's posts, the links are at the bottom! Today I have something SO exciting in store! Make sure you read to the end of the post! 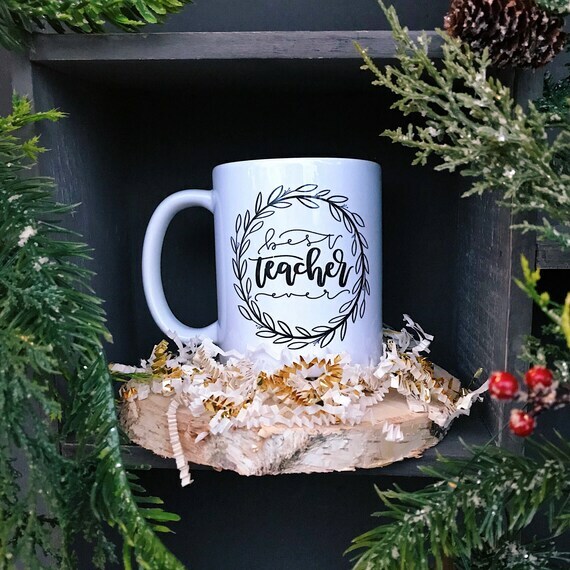 Do you exchange gifts with the other teachers at your school? Maybe with your grade level team? Or just your teacher besties? Well, I've got you covered with three handmade, special gifts that are sure to bring joy to your teacher friends! The first gift I would suggest is one of the pouches from my Etsy shop! 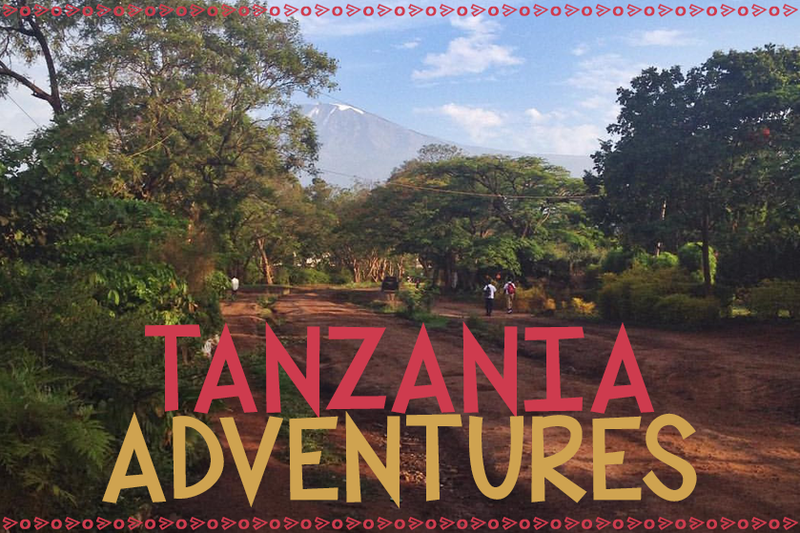 All of the items in my shop are handmade by artisans in Tanzania! 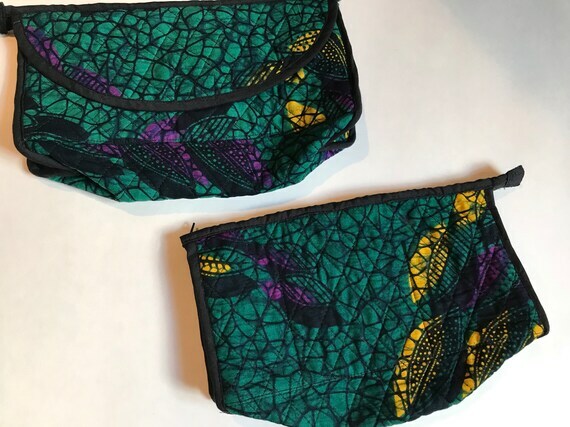 Some of the creators are independent, others are a part of an organization who teaches them to sew these beautiful bags. My favorite are the large pouches. They fit all of my favorite pens, post-its, and more, and keep them contained in my teacher bag! 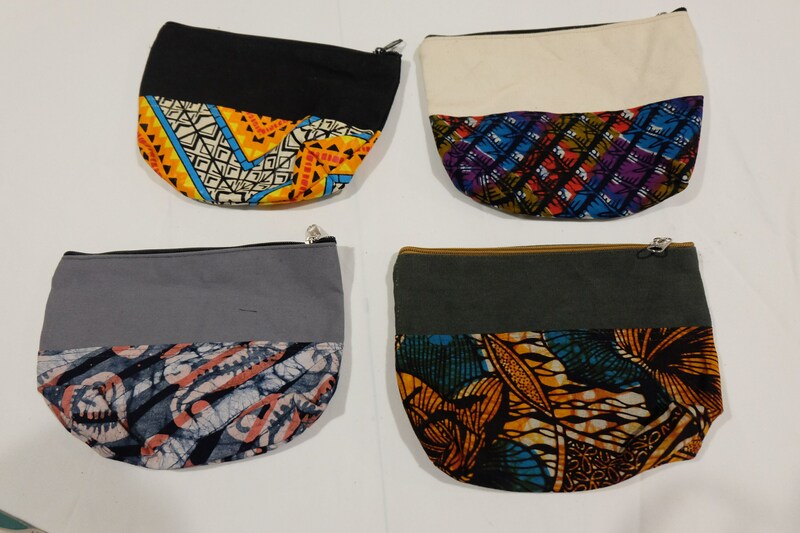 I also love these makeup bags, made by The Binti Project. This project rescues women from trafficking and rehabilitates them- teaching them skills like sewing, farming, cooking, etc. I have several fabric options of these in my shop, and some of them even have a wipeable inside, made with tarp! 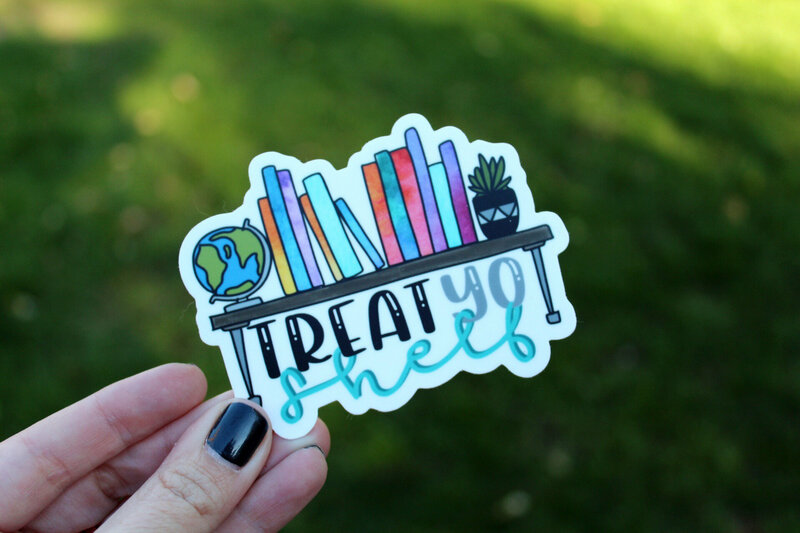 And their STICKERS are my favorite! I currently have the Create lightbulb on my laptop and this one on my Hydroflask! Okay, now for the GRAND finale! TEACHER SHIRTS!! Oh my goodness, how we love them all! There are SO many awesome shirts out there, but I have to say, when I saw this design, I knew I had to make them a part of this blog post series! I LOVE these sellers, and their shop has some phenomenal designs! They are called WhimsyandWhiteboards! Isn't that the most perfect tee for the holidays?! I think you and your team would look AMAZING rocking these the last week before winter break! And, it goes so well with my blog series, I asked Kelly, one half of WhimsyandWhiteboards, about partnering up for a giveaway! She is so amazing and is giving one of you awesome teachers one of these beautiful shirts! They have red and green shirts available, and their shirts are super high quality. The giveaway is super easy and super quick, so make sure you get your entries in! It will close Sunday at 6 pm CST. I will then email the winner to get their information sent to WhimsyandWhiteboards so we can get the shirt to you ASAP! We would LOVE your help to get the word out about our giveaway, and you can share it using this image. 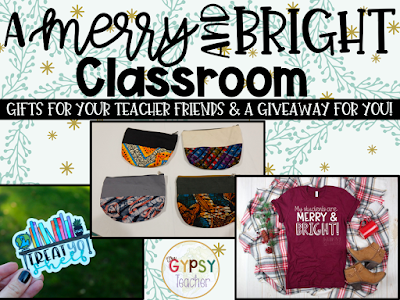 Don't forget to link back to this page, so your teacher friends can enter too! Thank you for an awesome first week of this series! Come back next week for a whole lot more holiday cheer! Happy weekend, friends! I am a #BookNerd and I'm proud to say it! I love reading, and love instilling a love of reading in kids. My one-year-old nephew LOVES books, and I will read his favorites to him 1000x because I love that he loves books! 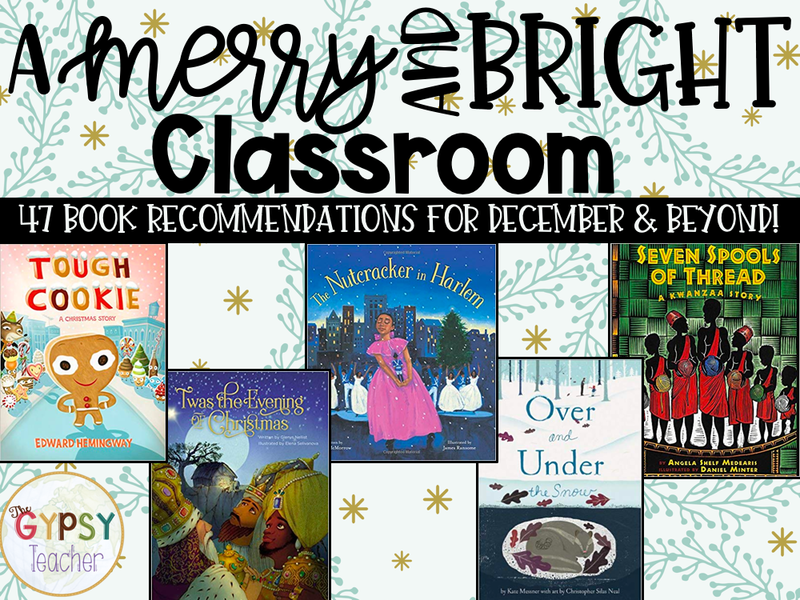 Today I'm sharing some of my FAVORITES with you all for December! And, don't worry, no matter what you're teaching this month, I have a feeling I have some books for you! I've separated my favorites into categories to hopefully help you find some new reads! I also have some read alouds that I found on YouTube, if you'd rather incorporate those into your lesson plans. 53 links, y'all!! I've got something for EVERYONE! Just so you know, any Amazon links that I provide in this post are affiliate links, but I would never share anything that I don't love. 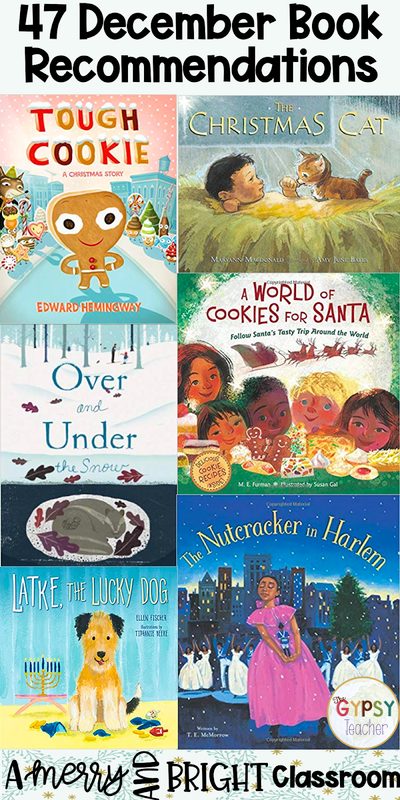 I just want to share my favorites with you, to give you some fresh ideas for read alouds or books to add to your collection. There are WAYYYY too many amazing Christmas Read Alouds for me to share, but here are eight that I LOVE!! I've tried to give a good mix for you! 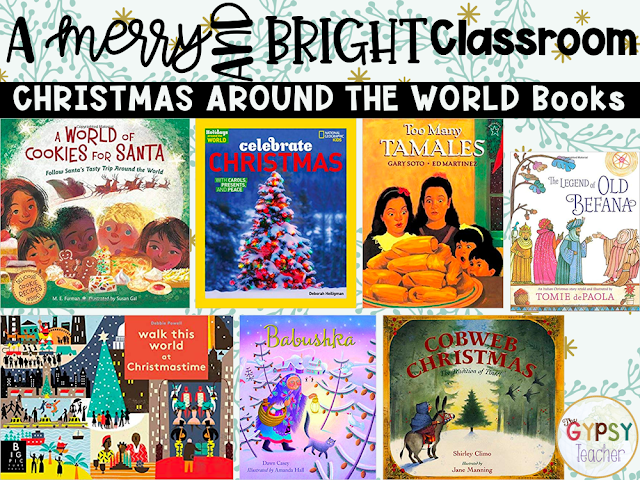 It's important to teach our students about other holidays people might celebrate too! And it includes EVERYONE in the conversation! Here are some great read alouds to get the convo started in your classroom. 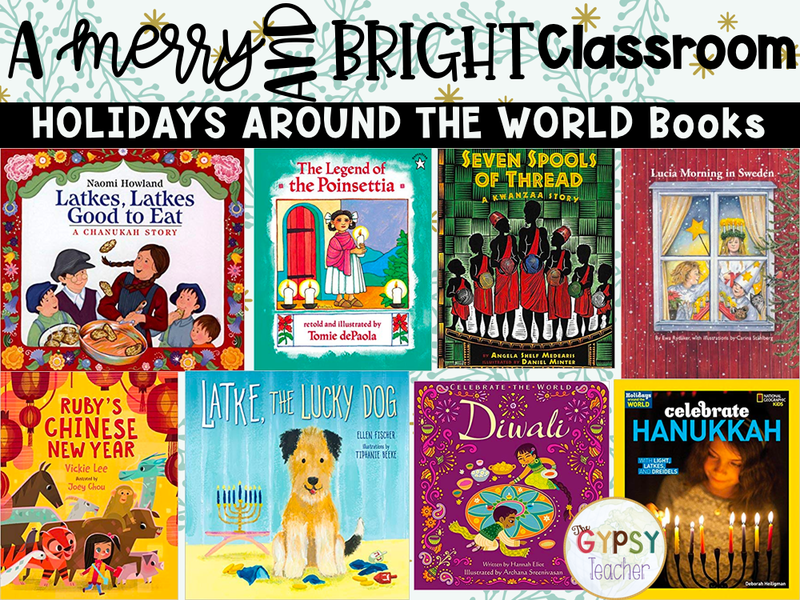 If you have a Gingerbread Day or include some cookie fun into your plans, these are all such great choices for books! 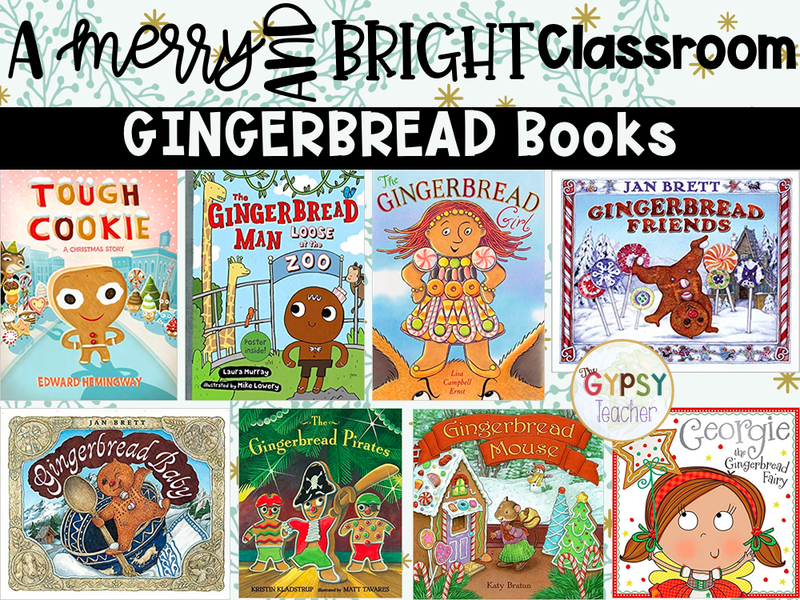 I love to make gingerbread playdough for my students to play with after we read these too! If you don't celebrate these holidays, don't you worry! 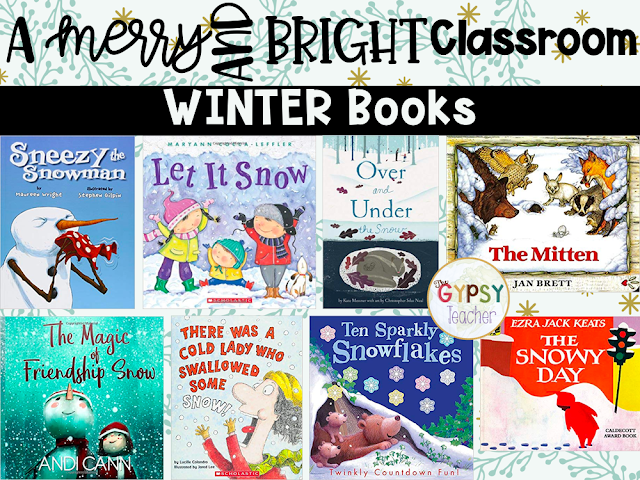 I've got you covered with some winter-themed books. Sneezy the Snowman is SO cute and great for retelling, as is the Cold Lady book. 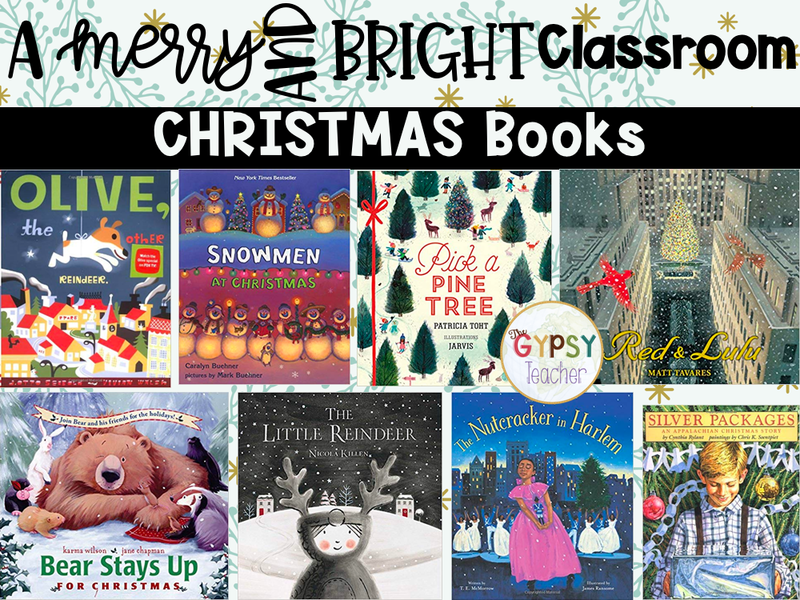 If you're looking for a fun way to incorporate these books into your classroom or household, Becca @ Foxwell Forest has a great blog post of how she does a Countdown to Christmas! Click the link or the picture below for all the details and a freebie! 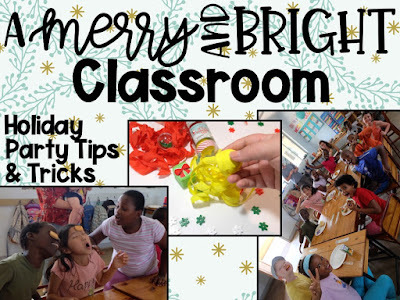 I hope you enjoyed Day 4 of my A Merry and Bright Classroom series!! If you want to pin this post to come back to later and share with your Pinterest besties, here's the image! And make sure you pop by tomorrow, because you DON'T want to miss out on an awesome giveaway happening!! !